Get your bookings in! We found one of the most romantic wedding venues for 2018. Located on a 65 hectare exotic fruit plantation with majestic sunset views of Mt Warning to the west and the Pacific Ocean to the east. Fins at Plantation House is just 15 mins from the Gold Coast Airport and a 30 minute drive from Byron Bay. 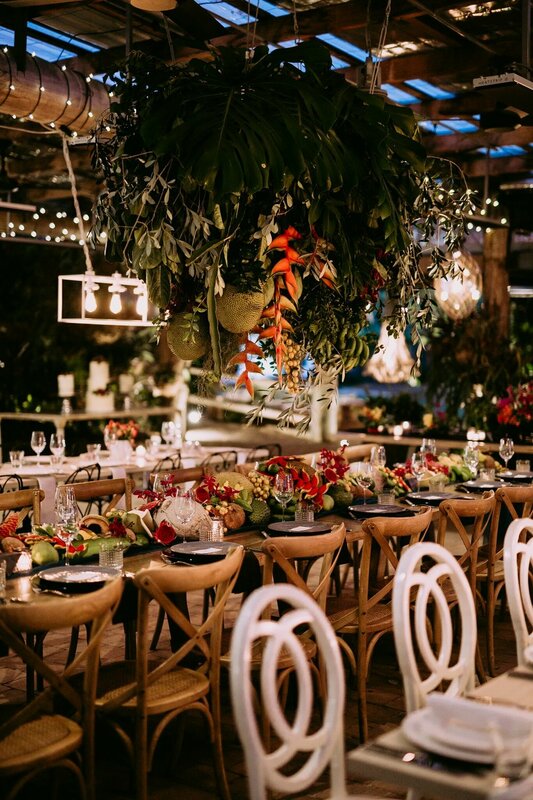 Fins at Plantation house has recently been renovated and given new life - transforming it into one of the most breathtaking country wedding venues on the Tweed Coast. As you pull into the driveway the meticulously manicured gardens perfectly frame the regal white homestead. 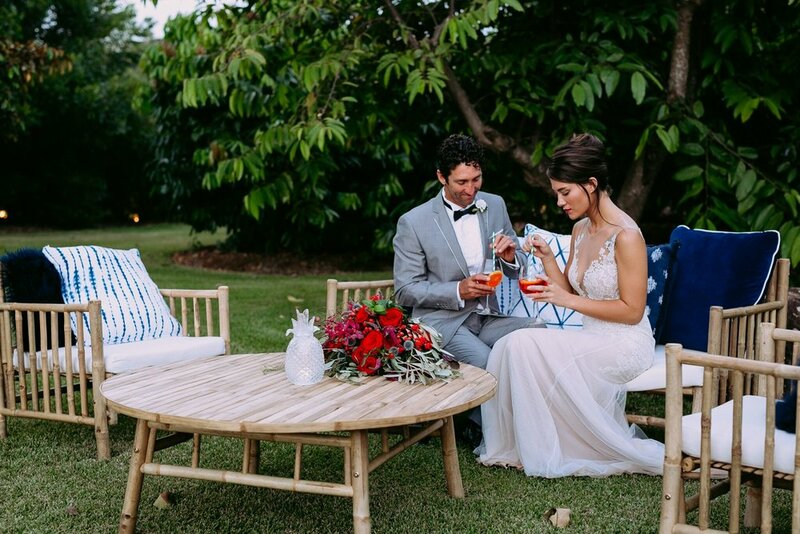 Surrounding the plantation house are sweeping views of the tweed coast - from a cactus garden at the back of the house (Perfect for your bride and groom wedding portraits) and a grand poinciana tree to the front, it’s everything you have ever imagined and more for your dream wedding. 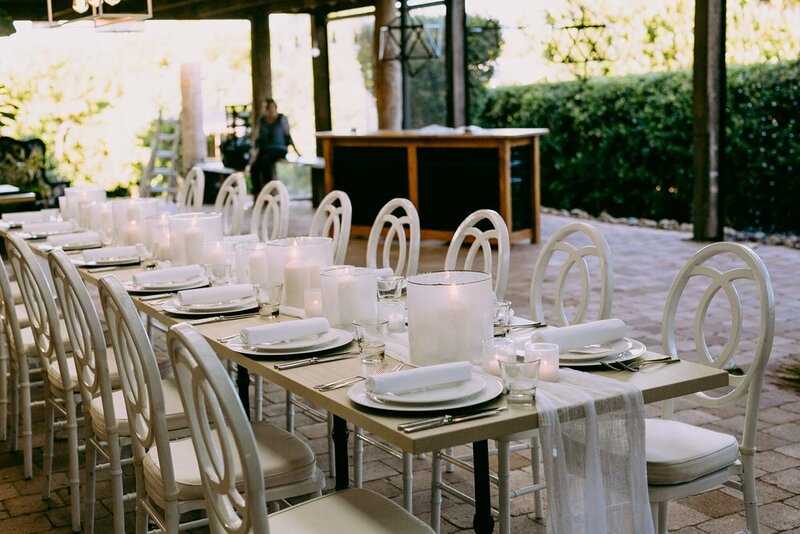 Recently Avideas joined in with the - Tweed coast wedding trail - Including Ancora, Babalou, Taverna, Salt Village Weddings, Santai, Osteria, The Art Gallery, Mavis’ Kitchen, Summergrove Estate, Ardeena. We pulled together 3 striking looks for the open house to compliment the homestead, showcasing our newest furniture and custom event styling designs. With Fins neighboring tropical fruit world - what an amazing opportunity we have to showcase fresh, quality produce. 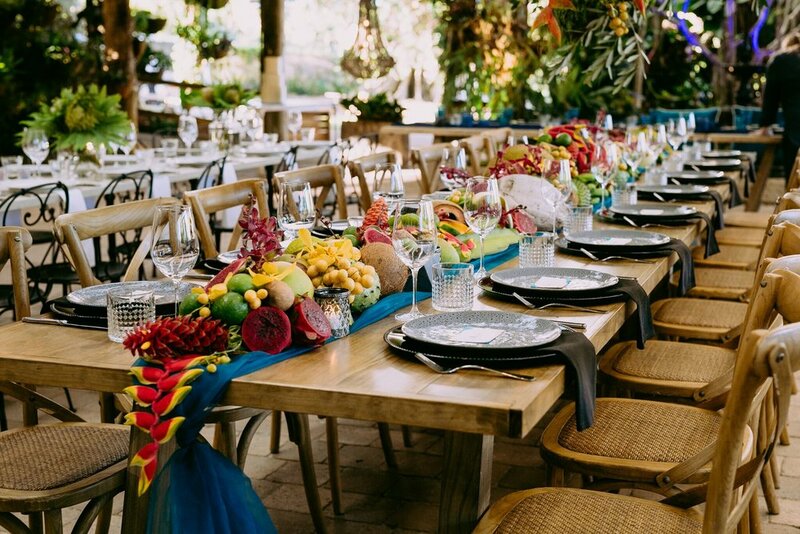 We wanted to re-imagine what showcasing fresh produce looks like by combining our rigging, lighting experience and working alongside Flowers by Julia Rose adding fresh fruit to our bridal table features. We had so much fun playing with florals and fruit! Another option we showcased on the open day was white on white. 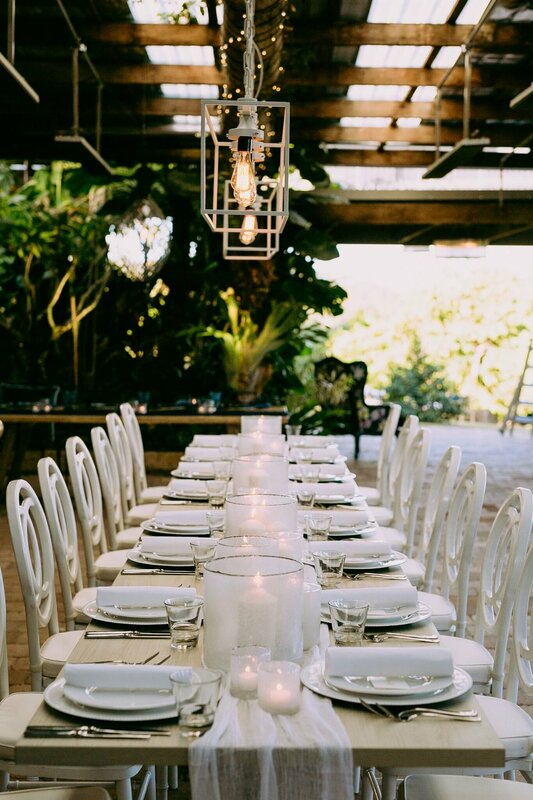 Featuring our wooden Chanel Chairs with white foam chair pads, our Lena votives, White Rectangle Chandeliers and our Timber Banquet Table. Modern, whimsical and romantic setting for your next reception at Fins. 3. Where the country meets the sea. Introducing our bamboo collection! We have an extensive range of gorgeous and modern bamboo furniture. Including a 3 seater lounge, armchairs, coffee tables, directors chairs, dry bars, umbrellas - paired with our beautiful indigo cushions and textiles. 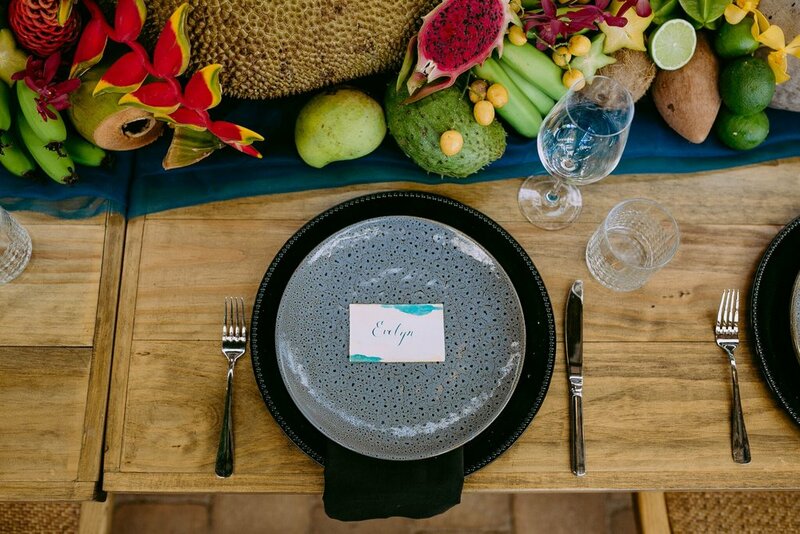 A simple way to enhance the beachy vibes yet blend harmoniously into the beautiful countryside surrounding Fins Plantation House.